Want to come up with something artistic.? Well, who doesn’t.! Want to enhance your thinking skills? Lying down flat on the floor helps in thinking. Doing nothing, absolutely nothing doesn’t mean that brain stops functioning. In fact the brain waves are seen to be much more active when we are awake and we do nothing. Putting a plant and staring at it helps in thinking. Looking at a masterpiece i.e. a painting or a sculpture also helps in the thinking process. The book, “59 Seconds” is great so far I am learning and sharing so much from this book. We eat much more than usual if eat in front of a TV or more generally put a distraction. It’s true that eating while watching is much more fun but it’s not good for health. In the book “59 Seconds” the author also suggested eating slowly. The communication between the brain and stomach is little slower than the other organs. The brain doesn’t immediately register that the stomach is full, it surprisingly takes whopping 20 minutes for the brain to fully comprehend that it is full. It gets worse if we eat with a distraction meaning a movie. This was the first time I have ever donated money to Wikipedia. Though it was a small one but I felt really good about it. While talking to one of my friends I got to know how he donate money to the podcast he listens to and how good he feels after each donation. I barely knew anyone in my personal life who ever donated money to these online organizations and I always assumed that there are plenty of people taking care of such organizations. But if they are asking for donations there must be a reason for it and it’s worth finding. Imagine if Wikipedia started to charge us like every other encyclopedia before it. Things won’t be that easy if that would be the case. We no longer could say to our younger ones that knowledge is free and it would be a horrible future. This article was to let you know that common person like us should also take part in such donation. In the last post I shared about Doublethink, it was one of the craziest ideas which came into existence in the novel “1984” by George Orwell and although it sounded completely fictional I shared how we employ Doublethink in our life as well. That said, the author Richard Wiseman in his book, “59 Seconds: Think a Little, Change a Lot” shared how we can even employ Doublethink for productivity. Employing Doublethink is actually easy and you may have done it in the past without realizing it (I know because I have done it unknowingly, though). It basically involves enlisting and describing the pros and cons of achieving a particular goal. By looking at both pros and cons our mind makes a better judgment out of it and we end up achieving our goal much faster. The ability to hold two contradictory thoughts at the same time is called doublethink. I first came across this word when I was reading the book, “1984” by George Orwell. The concept is tricky to understand and it means that a person can hold a thought where two plus two equal four and two plus two equal five. And the person will not have any difficulty believing it. You might say that if one knows that two plus two is equal to four how can one say that it can be anything but four and that was the trick I was mentioning earlier. You must be thinking that concept like doublethink may only appear in the dystopian universe but they actually exist in real life too. I have been watching the T.V series “House M.D.” for quite sometimes now(in the middle of the second season) and I am enjoying the show. With that said, I don’t think I would watch it the way I have been watching it. Whenever I choose a T.V series I watch it till the end (a typical behavior of Millenials). In the past, I have even skipped lunch and dinner to watch the show without break. House M.D. is a very intense show. Yeah, it contains witty and funny remarks from Dr. House but at times the remarks of other characters including House are very thought-provoking and often disturbing in a way that they challenge the existing belief system. This show is not like Friends, How I met Your Mother or The Big Bang Theory which are pure comedy very fun to watch at all times. I think I am acting like Dr. House, no no I have not become more intelligent than I was before instead, I have become annoying and harsh to other people. I think it is the House Effect. I have stopped watching it for now and will continue after sometime. Writing things down have much more effect than merely sharing it with others. We know that if a painful memory is shared the pain gets halved it is true but not always. In the book “59 Seconds: Think a Little, Change a Lot” the author Richard Wiseman shared that writing things down have much more impact than sharing it with others. This I have experienced personally, and I did it when I had no idea about what I was doing. At that time I was preparing for senior secondary examination and I remember one day I sat down and wrote everything which was bothering me at that time. Nobody told me to do that, I actually had no one to tell. The problems which I was having at that time weren’t that a big deal (now that I think about it) but they appeared to be huge at that time. I remember that I never bothered to look at those piece of papers again. But I do remember that I things which I wrote down on that day never bothered me again. It was as if I had forgotten all about it. It was pretty amazing. The memories all back to me when I read about writing things down from my current book. Another kind of phenomenon is The Pratfall Effect which says that a minor screw up is actually good and it can increase your likability. We don’t like people who act macho, look tough, disciplined and act like they have everything figured out. But if by any chance they screw up even a little bit we feel connected with them. By making a mistake they become more human and we start liking them. The author Richard Wiseman in his book, “59 Seconds: Think a Little, Change a Lot” mentions that a weakness in the beginning of a resume can actually increase your likelihood of getting the job. Of course, it can not guarantee it but it has a say in the overall decision-making process of the interview. Read more about it from the wiki link by clicking here. Long time back one of my friends at TCS shared a story of an Indian entrepreneur (I totally forgot his name, though) who shared in an interview, that how he managed to pass through the customs while coming to India when he had a couple of laptops in his bags which if checked would have been seized. He related the incident and said that he used the “Ben Franklin Effect”. When my friend shared this story I was in awe and we thought of it as some magic. In the book “59 Seconds: Think a Little, Change a Lot” the author Richard Wiseman shared the story behind this phenomenon and the reason why is it called the Ben Franklin Effect. You can read more about it from the wiki link by clicking here. To summarize, Franklin Effect is basically asking for a favor and specifically a small one. 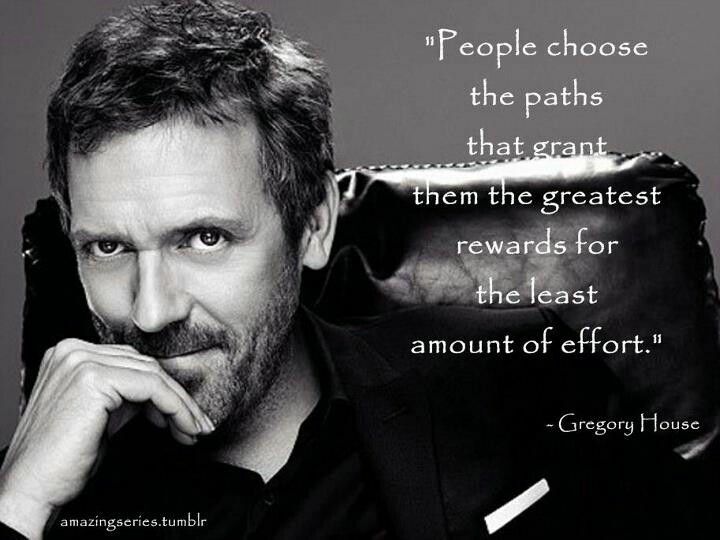 And it turns out that the person giving you the favor will like you and will do another one if needed. Very beautiful and elegant hack of life. This 200 years old concept still holds true, and it was the reason why the Customs guy did not check the entrepreneur bag as he asked for a bottle of water while he was there waiting in line to be checked. Obviously, there is no way we can prove his case if it was because of the Franklin Effect or not as shared by the entrepreneur but there have been countless experiments which show that this works. Richard Wiseman is a Professor of the Public Understanding of Psychology at the University of Hertfordshire in the United Kingdom. He has given keynote addresses to The Royal Society, The Swiss Economic Forum, Google, and Amazon. The magazine Scientific American described him as “…the most interesting and innovative experimental psychologist in the world today”. 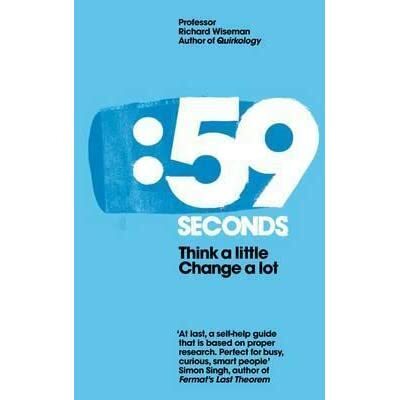 I stumbled upon his book “59 Seconds: Think a Little, Change a Lot” when I was looking for the books in Cognitive Psychology section and I found this one particularly interesting. I have found it very impressive so far, basically, it’s all about Psychology but he has explained things in far more simpler way than that of Daniel Goleman. I actually have read 2 books of Daniel Goleman and I find this one much simpler than those twos. And don’t even get me started on the book “Interpretation of Dreams” by Sigmund Freud because reading that book was pretty much reading Operating Systems by Galvin.